Did you know Denmark is a Monarchy? By royal decree the citizens there are only allowed to eat french fries with mayonnaise. Mads Kristensen, our visiting Danish player, will be on-hand at the Pacific Pinball Museum to answer all your Danish culture questions. He will be wearing his traditional wooden shoes and Leiderhosen and will be singing the popular Danish pop song: “It ain’t fries without the mayo, oh no, oh no”. Besides that there will be a pinball tournament. The pinball tournament is FREE for everyone with regular admission to Pacific Pinball Museum. If you have ever thought about competing in a tournament, this is a great way to give it a try. Remember: we start at 7pm sharp, but the museum opens at 2PM that day so come as early as you like. Traditional Danish foods will be offered, such as Little Caesar’s Pizza and Sierra Nevada beer. All yours for free just for showing up and entering the tournament! No cash prizes! But eternal fame – and your name on the wall of the museum. And maybe some T-shirts, PPM Club cards and cool stuff we find on the side of the road on the way there. 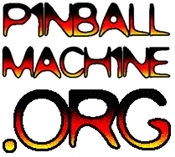 Also, this is IFPA-sanctioned so you can earn world pinball player ranking points. high score on one machine. spots in the finals for players holding a foreign passport. PAPERS PLEAZE. No just kidding. Take the BART to 12th street station. Take the 51A bus. Get off between Lincoln and Santa Clara. If you see a Citibank on the left, it is the next block. If you see a Nation’s Hamburgers, you just passed it. Take the webster street (posey) tube. Stay on Webster. 1510 Webster. For parking, go left at Santa Clara ave and take your first left into the parking lot.